Students are introduced to the Inca Empire by first exploring Machu Picchu. Then they learn about various elements of life in the Inca Empire. Next, they focus on the Spanish conquest of the empire by Francisco Pizarro and explain how he was able do it with so few soldiers. Finally, they explain what they would most like to see and understand about Machu Picchu. 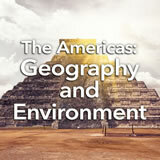 In this experience, students are introduced to the Inca Empire by first exploring Machu Picchu. Then they learn about various elements of life in the Inca Empire. Next, they focus on the Spanish conquest of the empire by Francisco Pizarro and explain how he was able do it with so few soldiers. Finally, they explain what they would most like to see and understand about Machu Picchu. 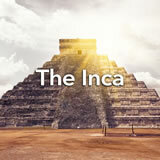 Describe the civilization of the Inca. Explain the effect of the Spanish conquest and fall of the Inca Empire. Have you ever climbed a high mountain or seen photos of high mountains? What do you think it’s like to live up in a high place like that? How would you get your food or grow a garden? Would you be able to keep animals up there? In this experience, you will learn about the history of the Inca Empire, an empire that was located in the mountainous region of western South America. Imagine that you are reading a newspaper that announces that an ancient lost city has been discovered. This unknown city reveals parts of a culture that people never knew about.